Value chains are not a new concept and many working in agriculture and business have been utilizing not only the concept, but have put value chains into practical use. Yet very little has been done to ensure nutrition is included and linked into the chain. This is likely a reflection of the cross-disciplinary nature of food value chains (FVCs). The analysis of FVC requires an understanding of nutrition, agriculture, food technology, economics, marketing, etc. However, the training received by nutritionists in these other areas is often insufficient. Because of this, there are still many unanswered questions that require research, more operational understanding and collaborative investigation. 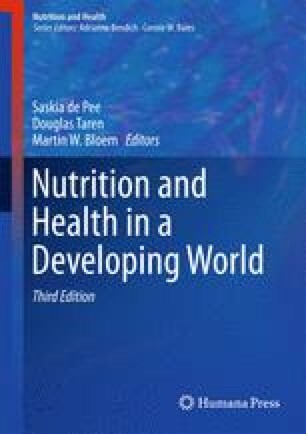 Nevertheless, FVCs for nutrition have a role to play in terms of identifying innovative ways to improve the availability, affordability and acceptability of nutritious foods both in the context of under- and overnutrition, and there is currently a push for conducting FVC analyses in an integrated manner with various stakeholders. This will require buy-in from various actors in the value chain and will need to target both supply and demand-side dynamics. There is likely a role for policy in terms of supporting actions along the FVC that can contribute to healthier consumption patterns; however, there is also a role for the private sector. Applying a business-lens to nutrition may help to identify opportunities for integrating nutrition into FVCs with the goal of increasing the availability, affordability and acceptability of nutritious foods for the population. Global Value Chains Initiative. 2014. Available here: http://www.cggc.duke.edu/projects/gvc.php. Keats S, Wiggins S. Future diets: implications for agriculture and food prices. Report, London: Overseas Development Institute. http://www.odi.org/sites/odi.org.uk/files/odi-assets/publications-opinion-files/8776.pdf. FAO (Food and Agriculture Organization) 2013. “The State of Food and Agriculture.” Rome: FAO; 2013. http://www.fao.org/publications/sofa/2013/en/. USAID Feed the Future. 2014. http://www.bdsknowledge.org/dyn/bds/docs/804/RwandaFTFStrategicReview.pdf. HarvestPlus. Biofortification Progress Briefs. 2014. Available at: http://www.harvestplus.org/content/new-progress-briefs-biofortification-released. Swanson R. Final Evaluation of Dairy Development FFP DAP for Vulnerable Populations in Zambia. 2009. Available at: http://www.fsnnetwork.org/sites/default/files/final_evalution_of_zambia_title_ii.pdf. HarvestPlus. Disseminating orange-fleshed sweet potato Findings from a HarvestPlus Project in Mozambique and Uganda; 2012. Available at: http://www.harvestplus.org/sites/default/files/HarvestPlus_OFSP_Brief_English_2012_v2_small.pdf. USAID. Microlinks. 2014. Available at: https://www.microlinks.org/good-practice-center/value-chain-wiki/applying-value-chain-approach-food-utilization.